Reinforced flooring covered with smooth sanded plywood that is safe and comfortable for any use and can easily be covered with another surface. The roof comprised of insulated decking and 25-year shingles and overhanging the edge on all sides, helping to protect the exterior walls from the elements. Walls covered with Western Fir siding, which uses baked on primer to extend paint life. 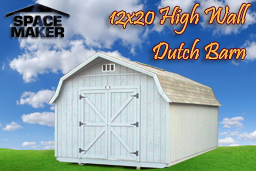 Emulation of the intriguing design of an original Dutch barn, with long walls that are higher than typical to add height and space to the interior of the building. Use the building as a workshop, housing your art, woodworking, pottery, or other passion so that you don't have materials all over your home. 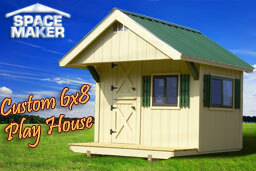 You can also count on the solitude of this building away from the hectic activities within your residence. A workshop in this kind of building can be arranged to your need, with the windows positioned for the best source of natural light and shelving that promotes organization and meets your storage needs. It is also appropriate for such use outside your retail shop or gallery where you sell your wares. Create dog kennels within the building, starting a boarding or breeding business in your own backyard. Simply modify the interior by adding cage walls and doors, and work on adding custom "doggie doors" so that you can have dog runs outside for each of the dog kennels you've created inside. Work with our custom builders to add more than one entrance if you desire. 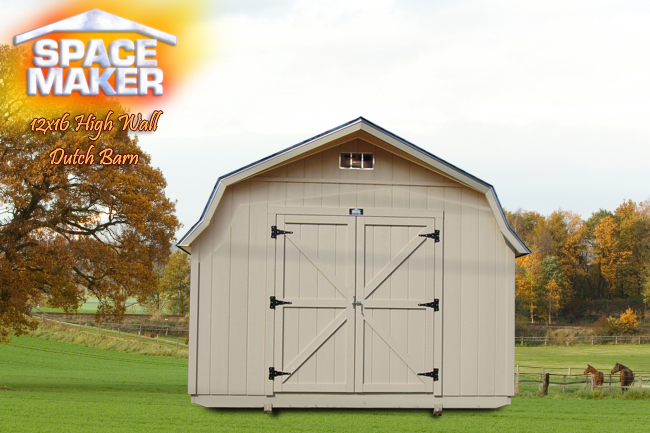 Use the 12x16 high wall barn as a portable storage shed, which can easily be moved to another location due to the ingenious design of the flooring. 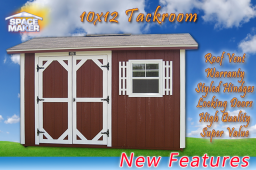 As a portable storage shed, it will look good and provide convenient, reliable storage for any of your materials, tools, or other items that don't need to be on display in the house at all times. You can easily transport it should you move or need to simply shift its position to create more space on your property. 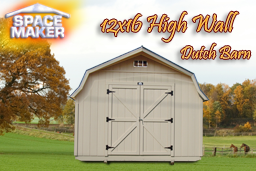 Without even trying hard, you can solve a number of issues with a simple 12x16 high wall Dutch barn, eliminating clutter and adding fresh space.